Last year the Panther’s defense was one of the worst in the NFL. This year they look to improve from last year season. Last year they had the 24th worst passing defense and the 25th worst rushing defense. Last year they had two games with more than 42 points scored against them. This year they have players coming back from injure and also had a good draft. 1. Draft: The panthers had a great draft this past year and picked up the two players that can be starters by the start of the regular season. The panthers took Luke Kuechly with the ninth pick in the draft. He will have an immediate impact at the line backing position. Josh Norman who taken in the fifth round has had a great preseason and still is in a battle for the starting job at corner back. 2. Players coming back Injures: Panthers lost some key panthers players because of injure including Jon Beason and Thomas Davis. They were badly missed last year because without there present they left a huge hole at the line-backing core. With these two back from injure and the addiction with Luke Kuecly the Panthers LBs could be the Best in the NFL. 3. Schedule: The Panthers have one of the easiest schedules in the league and the defense should benefit. The Panthers only play two opponents that had more than ten wins last year and have only four teams that made the playoff last year on there schedule. 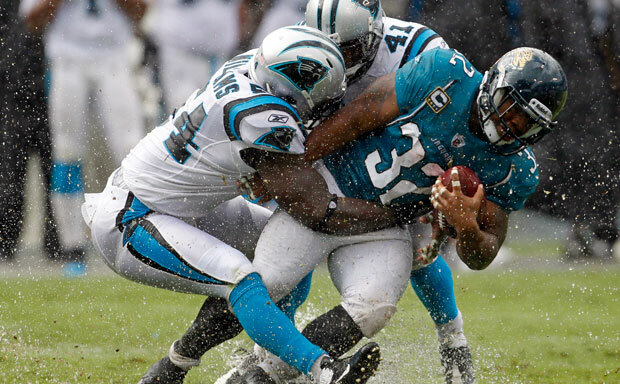 Overall: The panthers Defense needs to stay healthy and cannot have the breakdowns in coverage like last year. If they do this thing then they can have a successful year. Shut up. You have grammar like a 5 year old and no one wants to draft the panthers defense. You know absolutely nothing about football and the Panthers.